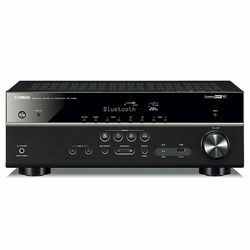 This Denon AVR-X4100W vs Denon AVR-X4400H receiver comparison will be helpful for people who need an amazing receiver. The Denon AVR-X4400H vs Denon AVR-X4100W total power output comparison shows that the AVR-X4400H is an option for people who need more power. It outputs 980 W versus 875 W which the AVR-X4100W outputs. The AVR-X4400H is capable of working with 9 channels – compare it with 7 channels that can the AVR-X4100W process. The AVR-X4100W features a complex DSP processing system with 4 high-performance processors of the fourth generation, while the AL24 audio processing solutions provide you with high-resolution filtering. This model also supports Auro 3D. 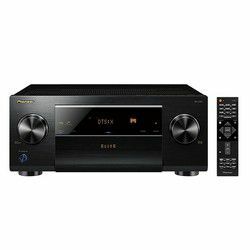 The AVR-X4400H features a powerful 9 channel amplifier with AL32 Multi-Channelworkessing and DDSC-HD discrete audio circuitry and it also works with Alexa. Both models have the “eco” mode. These receivers support Wi-Fi, Apple AirPlay and Bluetooth. The AVRX4400H supports HEOS. Both models support 3 zones. Customers do not have any issues with the ports of these models – you get no noise. These solutions have 8 in and 3 out HDMI ports. Both receivers use the Audyssey automatic audio calibration solution. The AVR-X4100W uses the Platinum version, while the AVR-X4400H uses MultEQ XT32. You also get the setup microphone. Both auto calibration solutions are precise, but you still can tune the adjustments in the future. 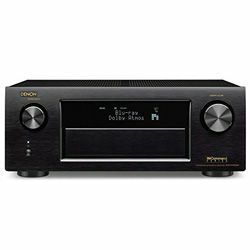 The Denon AVR-X4100W vs AVR-X4400H design comparison shows that both models have many common elements – a display, two large dials and a front flap which covers many additional buttons and ports. You can control the receiver using these buttons or use remote controllers, which have many buttons and allow you easily navigate through various menus, or control different zones or change the source, etc. The dimensions are 15.3x17.1x6.6 in for the AVR-X4100W versus 17.1x15.3x6.6 in for the AVR-X4400H. The weight is 33.5 and 30.2 pounds respectively. The output sound is clear and crisp – the auto calibration software is easy to use. The network module may freeze and drop off of Wi-Fi periodically (it requires rebooting). Plus it does not guarantee a stable connection with Pandora. The software may have some bugs (the Wi-Fi module cannot find other devices). It is easy to set up and use due to the well-designed menu. The output video signal is perfect – nothing lags and the picture is sharp. The receiver may run very hot even with good ventilation. The Bluetooth module is not stable. The HEOS application may freeze the system.